Is a spiritual journey as well as a physical one, this eight days adventure will bring you to the banks of Gosaikund lake, a holy sight for both Hinduism and Buddhism. The trek begins and end in the historic city of Kathmandu, offers fascinating Himalayan view along the way. The jumping of point is Dunche. It’s a 6 hours drive from dunche. Enjoy the scenic beauty of Helambu region. Along the way one can see special wildlife that includes red pandas, Himalayan black bear, wild boar and langoor monkeys. 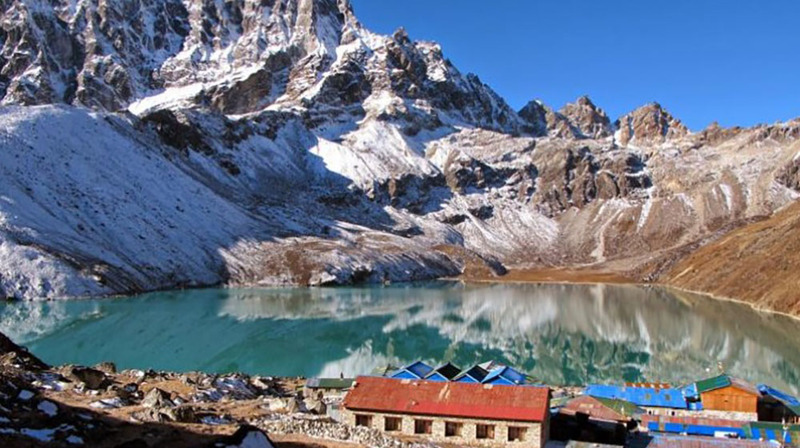 Gosaikunda lake is the most sacred lake in Nepal dedicated to lord shiva. It was here where Shiva quenched his thirst after consuming poison. 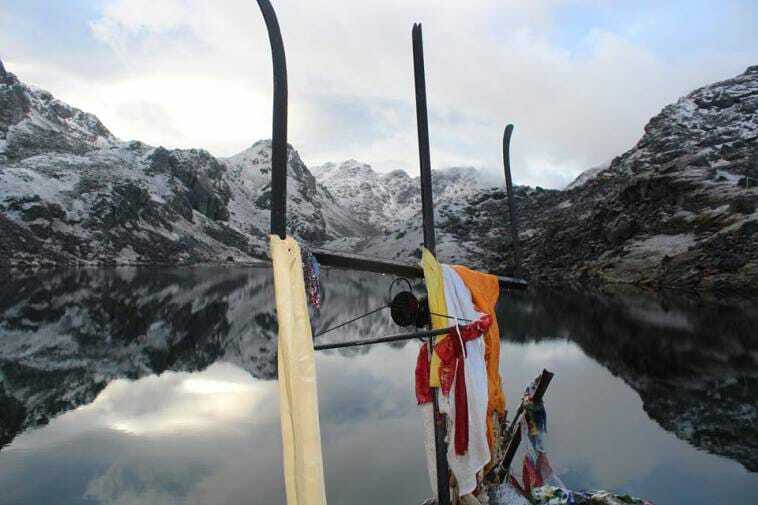 It is said that after drinking poison Shiva came here and thrust his trishul(holy trident) hard into these mountains in pain due to which this lake got appeared, It is located at an altitude of 4380 m (14370 ft) in the Rasuwa district. Sharmans perform spiritual song and dance during the trek at the beginning of their journey until they reach Gosaikunda and, on that day the ‘junior Jhaakri’ obtain the graduation from their masters. It is believed that Lord Shiva is the creator of the lake because when he thrust his Trishul (holy trident) into the mountain to extract water to drink so that he could cool his stinging throat after he had swallowed poison. It is also believed that once you take bathe in the holy lake, all your pain, sorrows and sins are washed off. In Hindu mythology, Gosaikunda is an abode of Lord Shiva and Gauri. According to the Hindu scriptures Vishnu Purana, Bhagavata Purana and the epics of Mahabharat, Ramayan refer to Samundra Manthan, which is related to the Gosaikunda. How to reach Gosaikunda Lake? Many foreigners choose Gosaikunda Trek as one of their trekking destinations while traveling to Nepal. 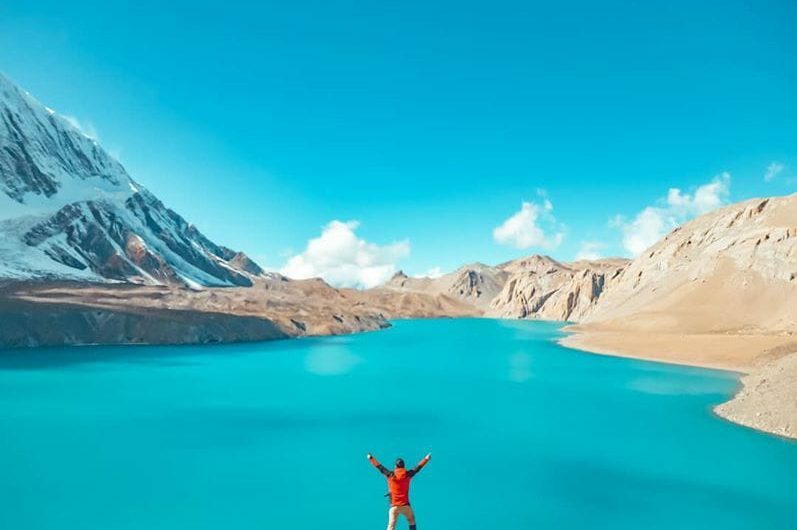 The main attraction of this trek is an exotic 108 glacier lakes, small to medium in size that is scattered around the Gosaikunda region surrounded by Himalayas range, delightful forest, beautiful scenario and lush wild nature. It is a short, easy and scenic trek from Kathmandu to Gosaikunda. The trip from Kathmandu to Gosaikunda takes six to seven days. After an hour of drive from Kathmandu to Sundarijal. Sundarijal is the first destination of the trek to Gosainkunda. Sundarijal is a scenic recreation, a picnic spot for local people of Kathmandu and they visit the place especially to enjoy the waterfall. It is two hours walk from Sundarijal to Mulpani village where you can have lunch/snacks and then climb through the forest to Chisapani which takes two and half hours to reach there. Chisapani is one of the most popular hill stations near Kathmandu Valley and during the trek you can enjoy the view of mountains. After taking rest for one day at chisapani, you can start the trek to Tuksang next morning. This trek will take approximately 5-6 hours. You will be amazed by the natural beauty while walking through the forest. Tuksang is a village of Tamang communities with traditional houses, chirping birds and stunning views of Himalayas. Tamangs followed the pre-Buddhist shamanistic and animistic practices that are now dominated by the Buddhist. Then you will start trekking from Tuksang to Ghopte (3340 m) for 6-7 hours. The walk becomes more energetic through the green forest to Ghopte, where a number of population is low and the temperature and scenario is amazing. One has to reach Kathmandu by Flight. You can also find Local Lodges to stay there. The next trek is from Ghopte to Gosainkunda which is a long walk of 6-7 hours. Gosaikunda is a lake cover all around by the hills. Gosaikunda lake is 1,030 ha (4.0 square meter) in the area. The Gosainkunda lake is frozen for six months in a year. After visiting the place and enjoying the scenery of Gosaikunda, you can come back through the same route or also return from another route. 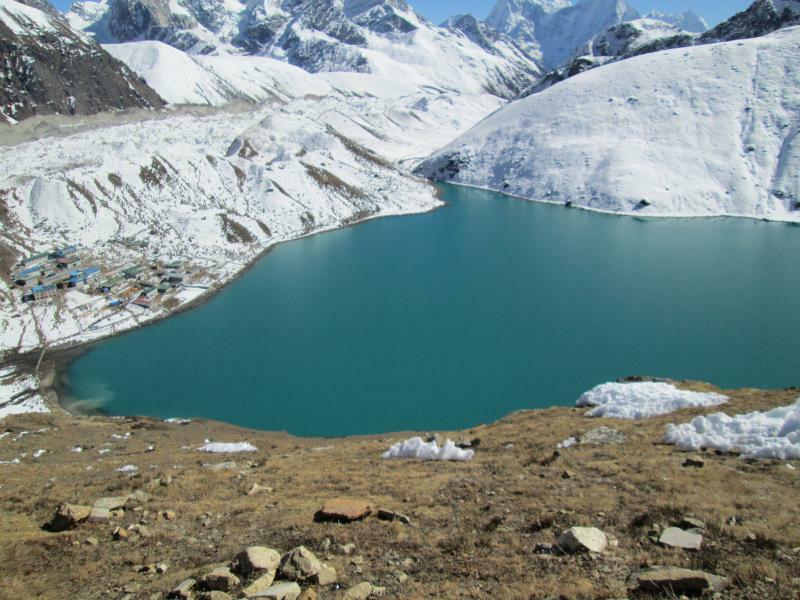 While returning you will walk from Gosaikunda to Dhunche (1764 m). Dhunche is a district headquarters of Rasuwa. The trek to Dhunche takes 5-6 hours. After arriving Dhunche, you will get on the bus and travel towards Kathmandu and arrive in 6-7 hours. Autumn and Spring season are the best time to visit Gosaikunda. Due to the instability of weather, it’s better to go there at the end of February to the beginning of June, and the beginning of September to the end of December. You can also travel for the month of July and August, however, the scenery will be blur due to the rainfall. The weather in Gosaikunda is quite unpredictable and can change in a minute. The weather is always wet so before traveling to Gosaikunda, arrange all necessary stuff you will need during the trek. Keep warm clothes, hiking boots, walking steak, gloves, water bottle, sunglasses, raincoat, medicine and also some food too. 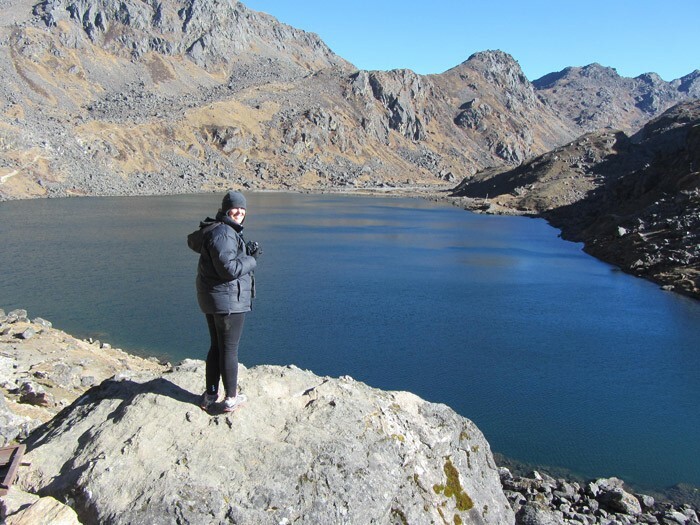 Gosainkunda Trek is one of the important and popular trekking routes for the domestics tourists. Firstly, the trekkers have to take the trekking permits from Nepal Tourism Board which located in Kathmandu and TIMS (Trekkers Information Management System).The trekking cost per person is USD 450 to USD 550 including transportation, meals, accommodation and a tourist guide. For booking call us @ 7093700356 / 7018385400 . Journeytoexplore will help you to manage an unforgettable journey . Kumbh Mela -The world’s largest act of faith. We are committed to providing our clients with best value solutions in their travel needs; offering them professional yet personalized service at reasonable and competitive prices.